This workshop will provide attendees, no matter their role in their own institution, with the knowledge, vocabulary, and basic skills needed to communicate intelligently with other stakeholders in the fast-changing scholarly communication landscape. Using foundational readings from Peter Suber and other sample materials, we will explore several key scholarly communication topics, including: the economics of commercial and open access publishing; open access publishing models; common misconceptions about open access and how to address them; predatory publishing; copyright, author rights and legislation; article-level- and alt- metrics, and open educational resources. Presenters will structure the workshop with a combination of interactive activities and traditional presentations. Time will also be provided throughout the workshop for attendees to ask questions brought from their own experiences and institutions for group discussion and feedback. have a basic understanding of the current scholarly communication landscape, including the economics of publishing, open access funding models, predatory publishing, author rights, article-level metrics, and open educational resources. be able to assist faculty in identifying their rights as authors and address misconceptions about open access publishing. be able to evaluate and identify potentially predatory publishers. be able to identify alternative measures of scholarship impact and understand their benefits and limitations. Jennifer Bazeley has a BM and an MM in viola performance from the Eastman School of Music, and an MLIS from Dominican University. She has worked in technical services at the DePaul University Library, the Field Museum Library, and the Cincinnati Art Museum Library. 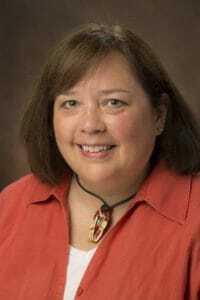 She began working at Miami University Libraries in Oxford, OH in November 2009, and is currently an Associate Librarian, Coordinator of Collection Access and Acquisitions. Her research interests include the role of libraries in scholarly communication, improving technical services workflows, and analyzing e-resource usage data. 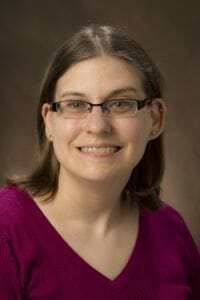 Jen Waller works as the University of Oklahoma Libraries’ Open Educational Resources and Scholarly Communication Coordinator. In this role she manages the Libraries’ OER initiatives, including the Alternative Textbook Grant, and she coordinates the Libraries’ scholarly communication programs and services, including open access advocacy, author rights, copyright, and new forms of information dissemination and scholarly publishing. Jen earned a B.A. in English at Tufts University in Medford, Massachusetts and a Masters of Library and Information Science (MLIS) from the Information School at the University of Washington. Prior to her career as a librarian she worked in the corporate world as a marketing communications manager, a project manager, and a professional chef. When not in the library, you may find Jen remodeling her home, cooking Thai food, or hiking with her dog, Travis. This Workshop is part of the ERL101 Programming at ER&L 2018 conference. To view other ERL101 programming options, click here. REGISTER HERE! A separate ticket is needed for this event!